It’s a new year and travel is still at the top of everyone’s mind right now. If exploring Jamaica is on your agenda for 2019 then you’ll want to keep reading. In 2018 alone , over 4.3 million persons visited Jamaica. That number is projected to increase this year. So what exactly keeps attracting so many people to Jamaica each year? Well …..other than the fact that the island is a “whole vibe” there are many reasons to visit Jamaica. From the food to the music and the vibrant culture there’s always something happening on the rock. I could give you a list of awe inspiring beaches and instagram worthy attractions but let’s save that for another post. Jamaican food is celebrated internationally for its spices, freshness and distinct local flavour.The Jamaica Tourist Board has been putting its marketing efforts into food tourism. 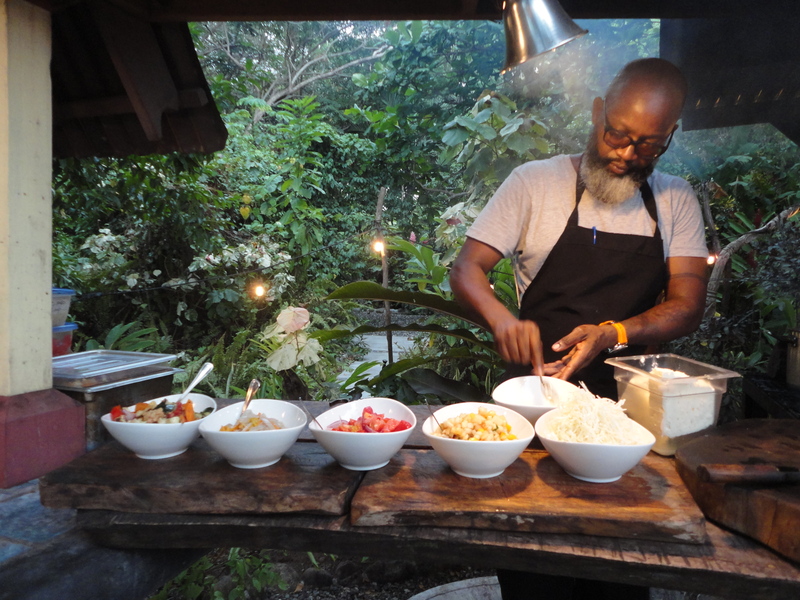 With the launch of the Blue Mountain Culinary Trail and the establishment of Gastronomy centers, there is increasing diversity in the local culinary offerings. New eateries are popping up daily across the island, giving foodies a ton of options. Hit up the pan chicken man on the street corner or embark on five course epicurean adventures.There’s no wrong way to experience the local food culture. 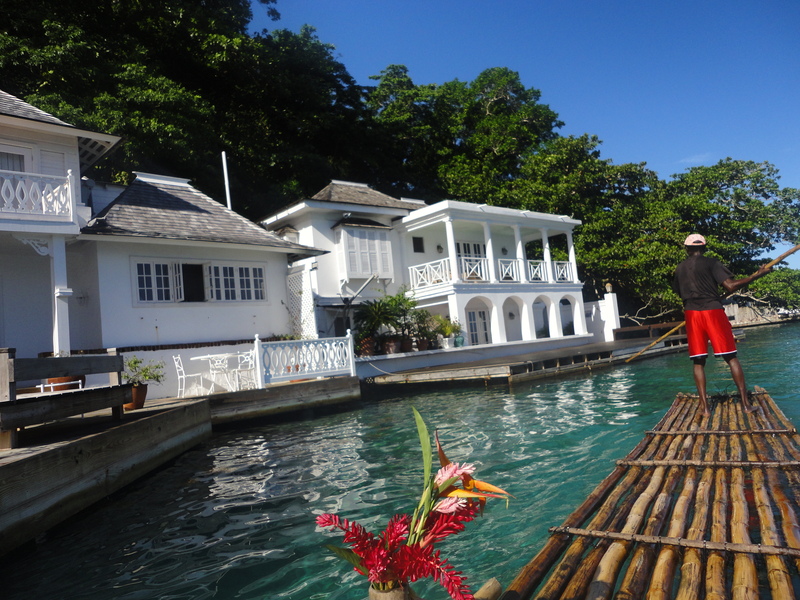 The Broken Rudder at Hermosa Cove, Ocho Rios– Go for the outdoor Barbeque on Saturday evenings at Hermosa Cove. You can thank me later. Meat lovers are in for a treat as Chef Conroy and his team works magic on the grill. It’s a great evening out with for families, couples or friends. Soak up the ambience of tapa style dining on an ocean view verandah. Besides the food, my favourite thing was the grill setup. Reservations are highly recommended. Stush in The Bush– Lisa and Chris Binns have created the ultimate farm to table dining experience. 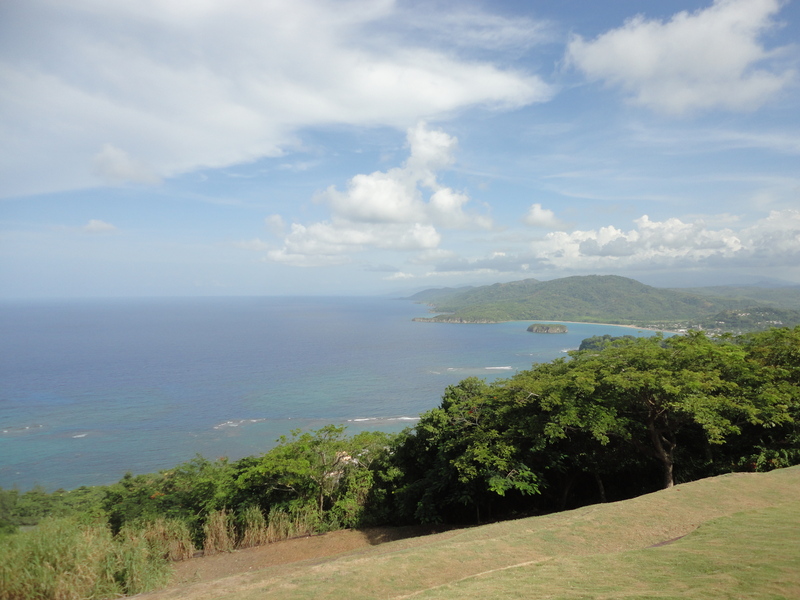 Chris takes you on a tour of the couple’s organic 15 acre farm in the hills of St. Ann. Lisa then guides your taste buds through a 6 course gourmet excursion. 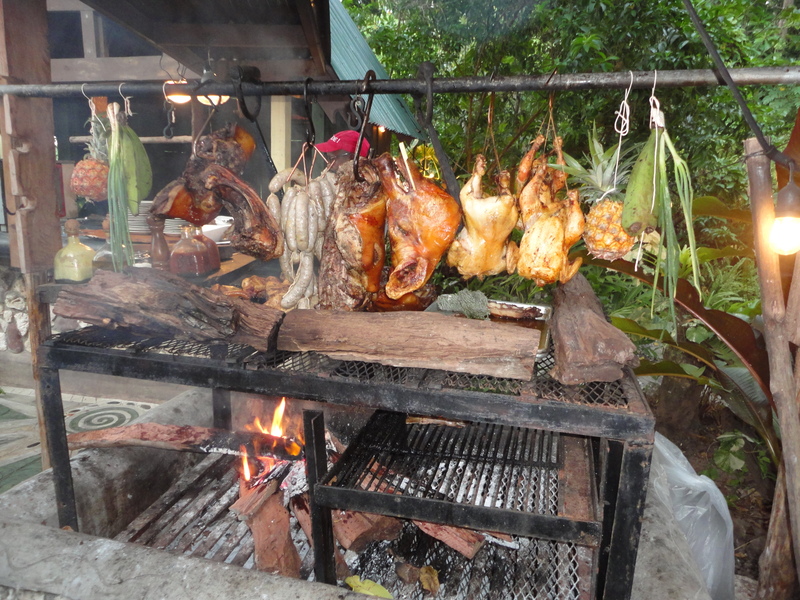 Each dish incorporates spices and the freshest produce from the farm and a few local suppliers. I couldn’t get enough of the creamy goodness that was the pumpkin hummus , it paired well with the plantain chips and sweet potato croquettes.It’s plant based cuisine at its finest. The menu differs each time and it’s based on what is in season as well as what inspires Lisa.The experience will open your palette to a whole new world of possibilities. Gather your family and closest pals make it a date. Stush in the Bush experiences are booked solely through their website. 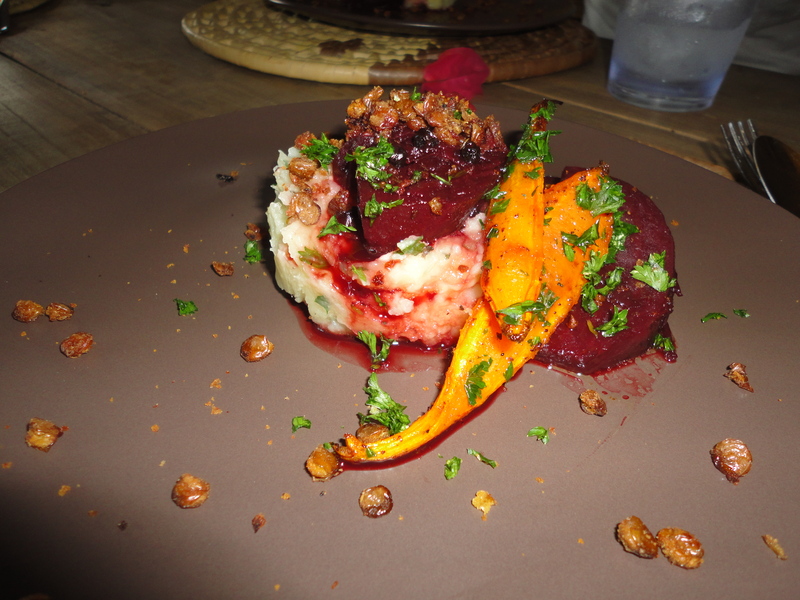 Restaurant Week– One week, where over 100 restaurants on the island serve prix fixe menu courses at discounted rates. Date to be released but it’s usually Mid November . The creative economy in Jamaica is on the rise. The advent of social media has created many opportunities for people to share their talents and make a living from it. The local arts scene is on fire with photographers, visual artists and designers showing off their talents to the world. What does that have to do with travel? Art has always influenced travel. Think Switzerland and Miami’s Art Basel or the Escadaria Selarón ( the famous steps in Brazil). The Paint Jamaica project in 2014 is one of the most significant occurrence in recent times that have helped to mobilize talented artists. 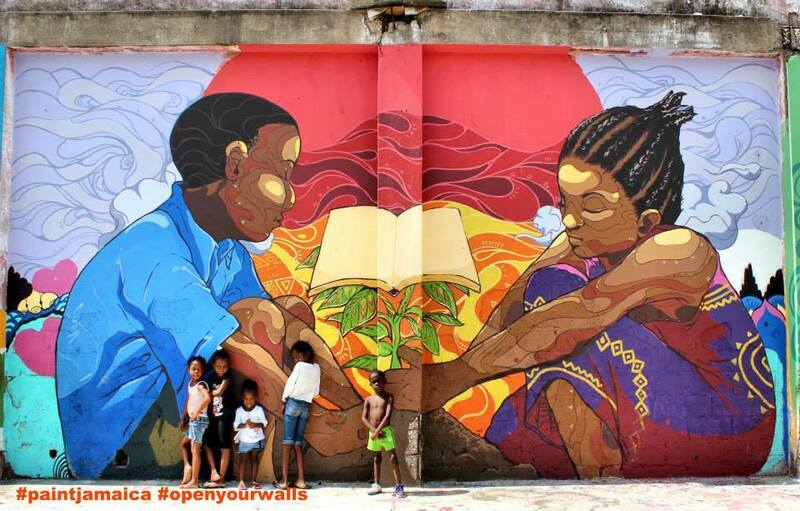 Through the painting of murals in the Fleet street community of Kingston , a grassroots movement evolved. The initiative served as a platform for local talents as well as a way to uplift the mind and sense of pride for youths in the Parade Gardens community. The art has since attracted many recording artiste to shoot music videos there as well as foreigners wishing to cultivate more local experiences. 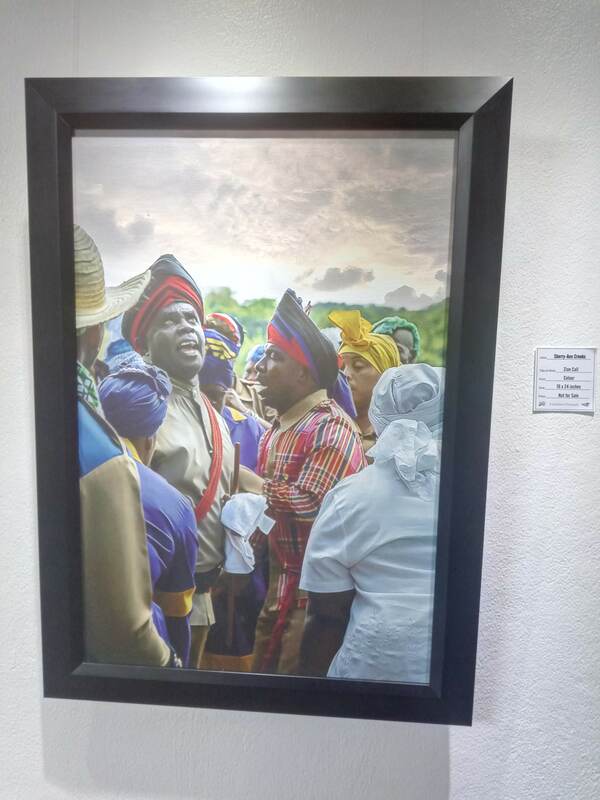 Kingston Creative is the latest movement that is delivering a major impact in Jamaica’s Art community.The organization hosts a monthly event that showcases the wealth of Jamaican talent in various genres. A typical Kingston Creative event involves art walks, tours of communities in the downtown area, performances, exhibits and films at the National Gallery. There are also opportunities to purchase art, jewelry soaps and various products from artisans and designers. F&B Downtown is a base for Kingston Creatives.The chic Cafe and Art Gallery is often the venue for meetups and networking events.On the last Friday of each month creatives are able to meet with experts and members of the business community to discuss challenges , opportunities and the way forward .The Kingston Creative Art Walk is held on the last Sunday of every month. 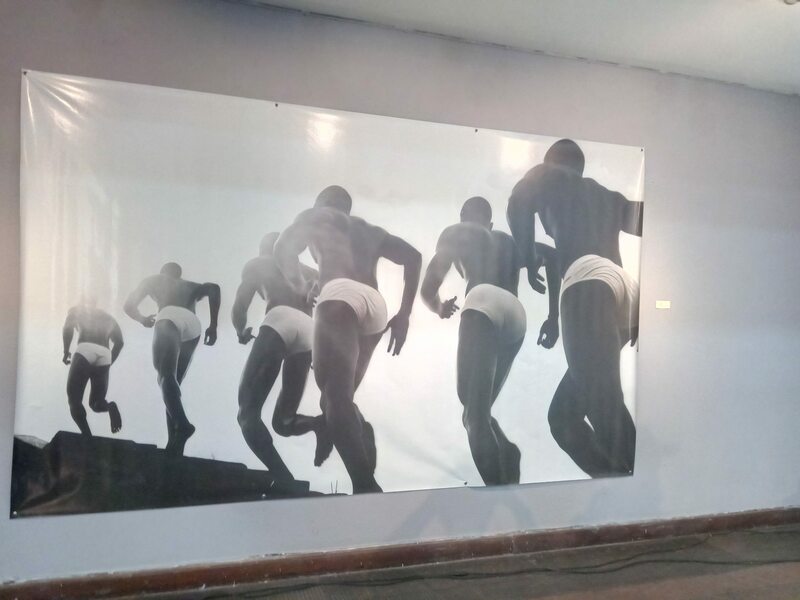 The events have been a been a driving force behind establishing Kingston as a viable destination for art.The event attracts scores of locals and travellers to the streets of Downtown,Kingston. You can follow them on Instagram or Facebook to find out about events. With the rise of the creative economy comes a growing coffee culture. I would like to think that the increasing number of creative entrepreneurs have some amount of influence on the coffee drinking culture. In recent years meeting friends and business associates for coffee is a growing trend, especially in Kingston. In 2017, mega coffee chain Starbucks introduced its first cafe to Montego Bay. They have since expanded their brand into Kingston and Falmouth , with plans for more stores across the island. Locals are loving it as are travelers and expats who long for small reminders of home. 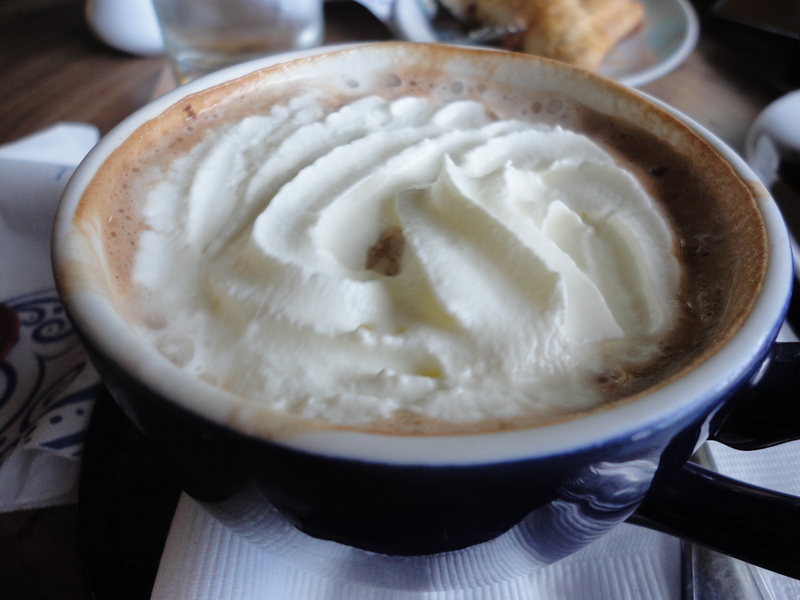 Jamaica’s Blue Mountain Peak is often celebrated as one of the best coffees in the world. The island has a long and rich history with coffee. In the early 1800s there were over 600 coffee plantations on the island, however the abolition of “free labour” led to a natural decline in it’s cultivation. Jamaicans love their coffee but majority of the coffee beans grown are meant for exportation. Although Jamaica produces such high quality coffee , the culture of drinking coffee is not as popular as in the US and other developed countries. Jamaicans traditionally brew their morning cup of coffee at home. Now it is more trendy to have coffee dates and business meetups. Coffee shops and coworking spaces are fueling the new generation of entrepreneurs. Jamaican brand Cafe Blue has coffee shops in Kingston and Montego Bay. 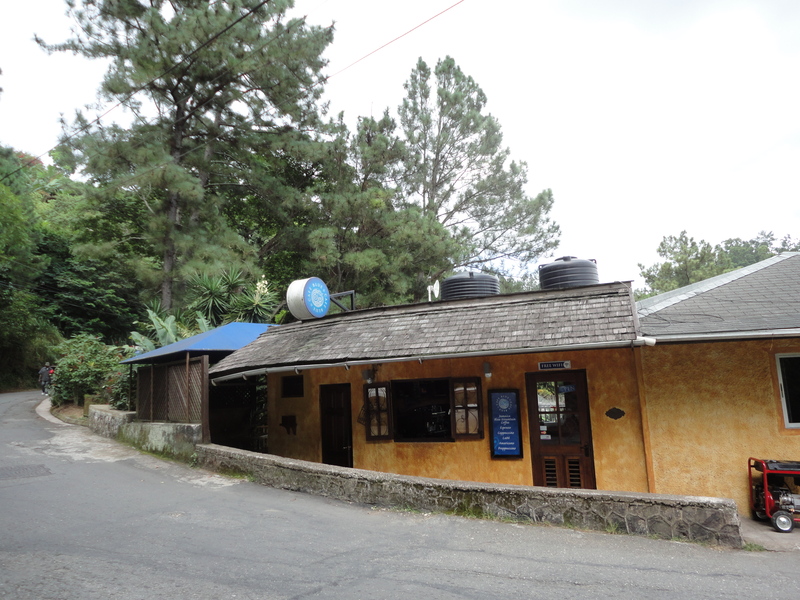 Cafe Blue– Irish Town – It is worth the drive to the mountains, the ambience , fresh air and the joy of sipping coffee close to where the beans are harvested. The Sovereign branch is also a great spot if you can’t make the 20 minute drive to the hills. Besides the coffee, my favourite thing is that the brand is Jamaican owned. They also have shops in Montego Bay and the airport in Kingston. Blue Mountain Coffee Festival -The events promises food, coffee and culture in the gorgeous Blue Mountains. The event will be March 1-3, 2019. Music is one of Jamaica’s biggest export. Reggae and Dancehall are big influencers of American , European and Japanese pop culture. Yes, Japan! Go to any street party in Kingston on any given night of the week and I guarantee you that you will see a few Japanese.Anyway, that’s a whole other story. Music is the pulse of Jamaica. There’s always some type of concert happening around the island but right now there’s only one event on everyone’s mind. 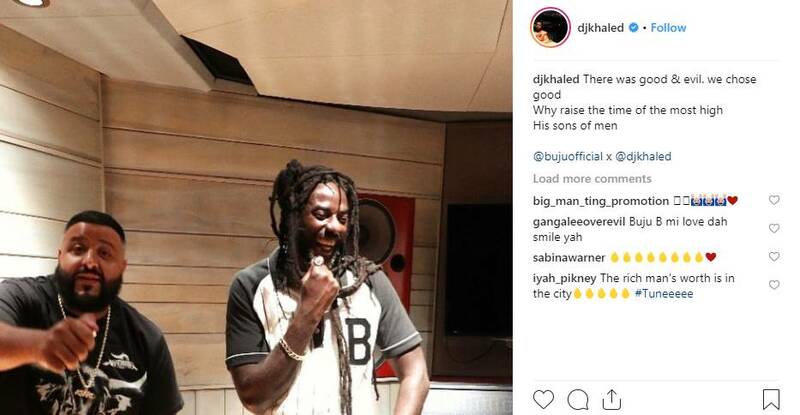 Long Walk To Freedom is the first concert of Reggae Recording Artiste Buju Banton since his release from US Federal prison. The artiste was incarcerated for 10 years but has managed to maintain loyalty among his fans. His music is among the greats of our times and there is excitement as to what he will do next. The concert is March 16 2019. February is Reggae Month so it’s a great time to catch live music concerts in Kingston. It’s also the birth month of Reggae Music icon Bob Marley and Dennis Brown the Crown Prince of Reggae. There are plans for day long celebrations on Feb 6 at the Bob Marley Museum. 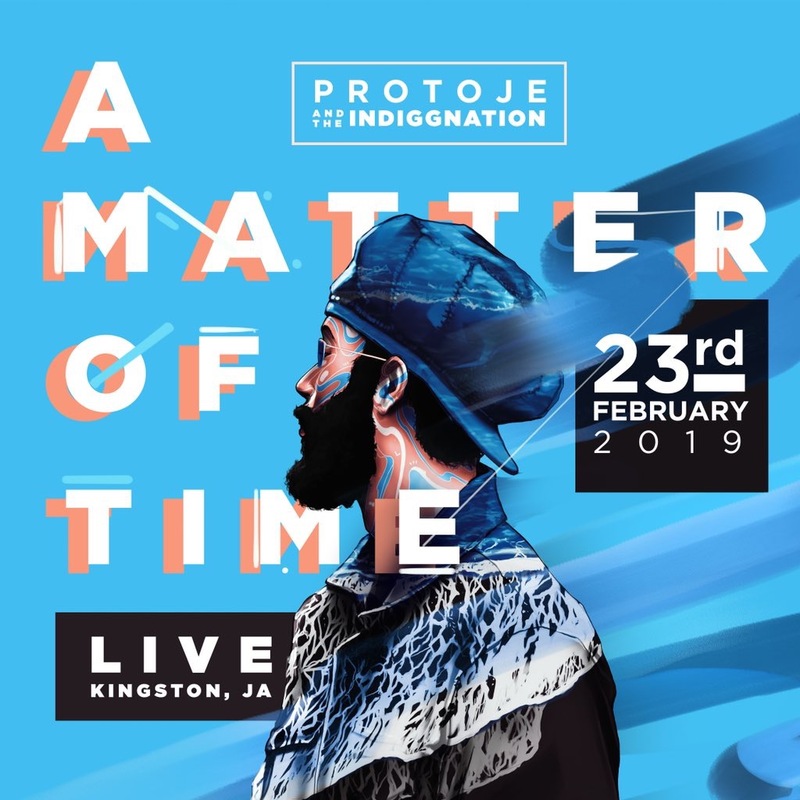 Another anticipated event is Protoje’s “A Matter of Time” . The concert is scheduled on Feb 23rd,2019 at Hope Gardens in Kingston. When it comes to traveling to Jamaica, the North Coast is the prefered destination and for good reason. Montego Bay and Ocho Rios are the two major resort towns. Hanover and Negril which lies on the West coast also get their fair share of the tourism pie. The capital city historically caters to business travelers but it’s the heart of local culture. There are a ton of high quality Airbnb options that encourage travelers to stay longer. The night life, diverse culinary offering , museums and endless opportunities to observe Jamaicans in their natural environment. Kingston is not curated for tourists. It’s as real as it gets and who could have imagined that people actually like real. This parish has a special place in my heart as it is where I feel most connected to myself and my thoughts . Nature at it’s finest. Beautiful beaches,rivers and hidden caves. The mountainous regions like Nanny Town, Moore Town and Charles Town bare a lot of history and culture as they are famous Maroon settlements. Portland is said the birthplace of tourism and a former playground for Hollywood elites. Instead of All Inclusive Resorts what you will find are a collection of boutique hotels, private villas and small guest houses. There’s very little travel information available about St. Thomas. However, the area has been quietly making moves that attract international attention. There are a few guest houses scattered throughout the parish and there are whispers of development that include better roads and a highway to facilitate easier travel to Port Antonio. The most recent and notable development is that of Lyssons Beach. The beach received a multi-million dollar upgrade in November 2018. The following month it served as a venue for Unruly Fest. 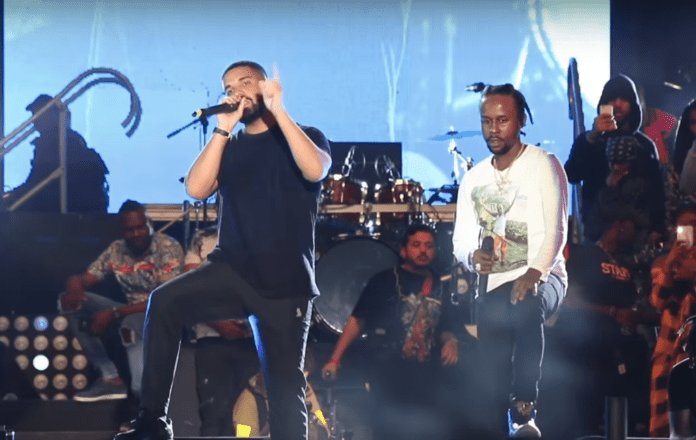 The concert was a birthday celebration for recording artiste , Popcaan. Many dancehall heavy hitters like Bounty Killa and Agent Sasco graced the stage.International recording artiste Drake was all the rage on the show. 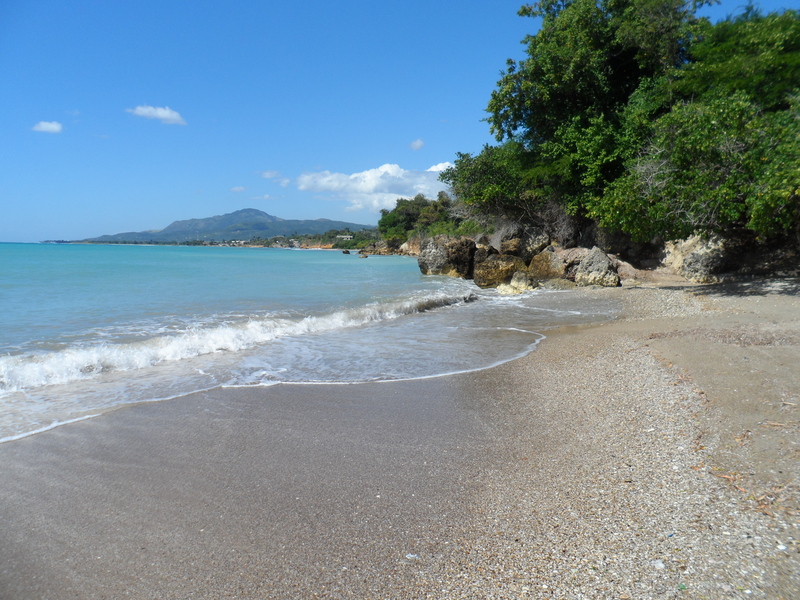 There’s a lot to be discovered in Jamaica’s eastern parishes . The east is on the rise and I’m here for all of it. I love your feedback. Let me know what places or activities you would like to learn more about. Let’s connect on Instagram or Facebook . Happy Travels. Hey lady, I have missed you!!! !love reading your posts.